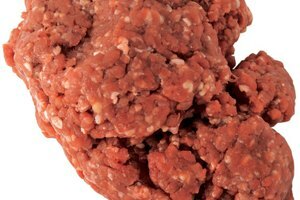 What Is Ground Round Meat? 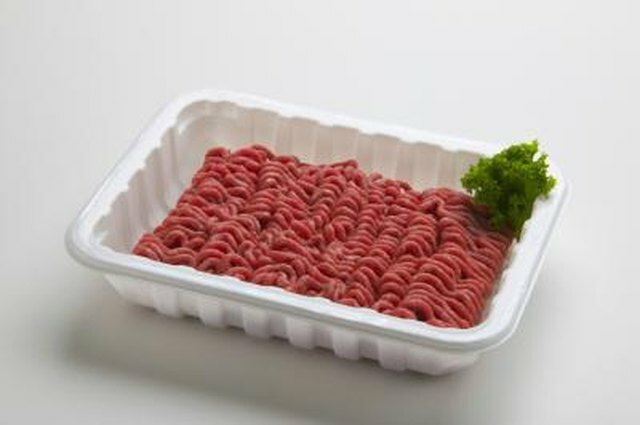 Labeling for ground meat can confuse consumers. 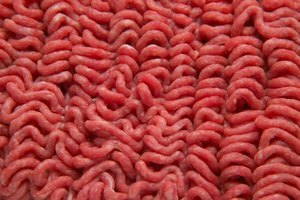 You can find hamburger, ground beef, ground chuck, ground round and ground sirloin depending on your supermarket. Meat packers make ground beef from a number of cuts, including round, chuck, loin, flank, neck or shank. The cuts vary in fat content, flavor and cost. 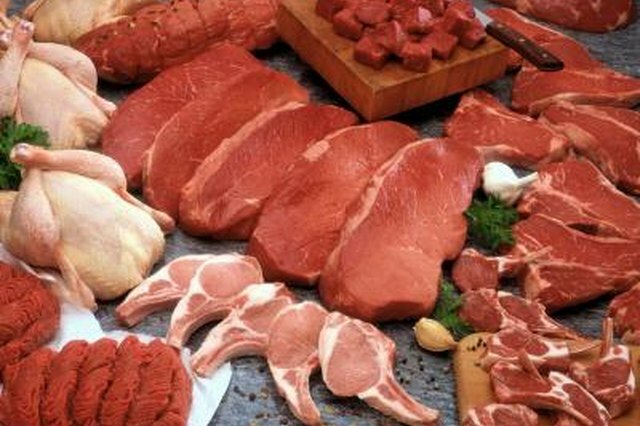 The higher the fat content, the less costly the meat. 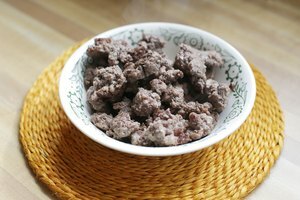 Ground beef is beef that has been cut into chunks, chilled and put through a meat grinder, according to the Chow website. 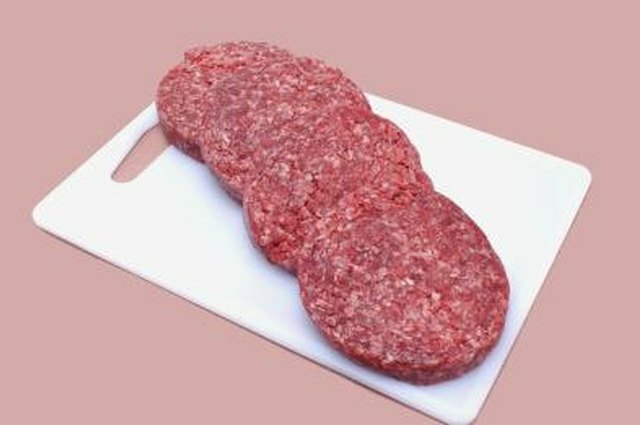 Hamburger meat also refers to ground beef. Ground beef originated in Russia during the 14th century when the nomadic Tartar people prepared their beef by chopping it finely and seasoning it. Most ground meat is ground mechanically and sold according to percentage of lean meat relative to fat. 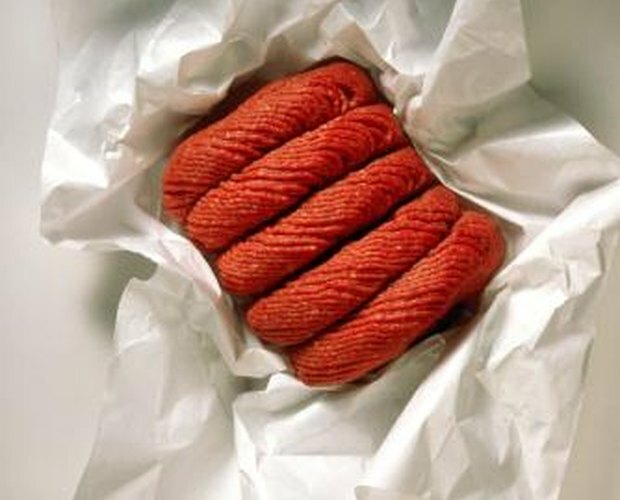 Ground round beef is made from round steak and trimmings from the primal round. The round steak comes from near the rump of the animal. Butchers can grind rump roast, round steaks and round roasts to make ground round. Ground beef has different grades of fat content. Ground round is relatively lean. Ground round contains a minimum of 80 percent lean meat and maximum of 20 percent fat, according to Texas Agricultural Extension Service. 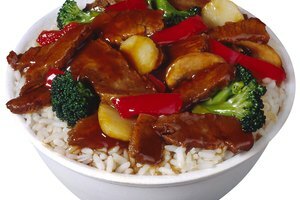 However, customers can purchase leaner ground round, which has about 10 to 15 percent fat. Compared to chuck meat, ground round has considerably less fat as chuck ground can contain up to 30 percent fat. Sirloin has similar fat content to ground round. Because of its low fat content, ground round makes great ground meat for tacos and spaghetti sauces. You get the flavor without the greasiness of the fat from ground meat. If you are preparing burgers or meatballs, you want to retain juiciness. 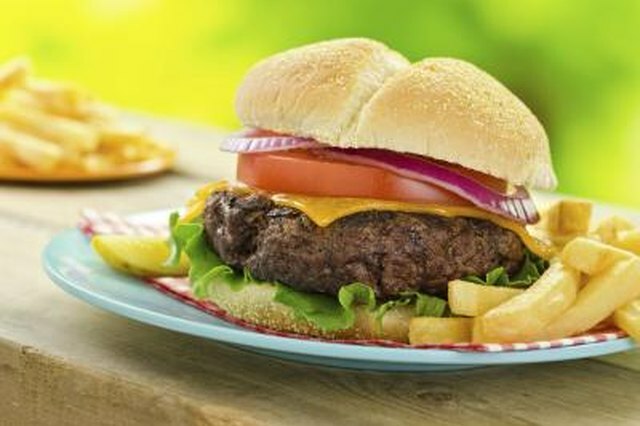 A very lean ground meat may lose moisture if grilled as a burger. When buying ground round, put it into your cart last. The package should not be torn. Chose a cold package with the latest sell-by date available. The meat should have a red color and should not look brown or discolored. 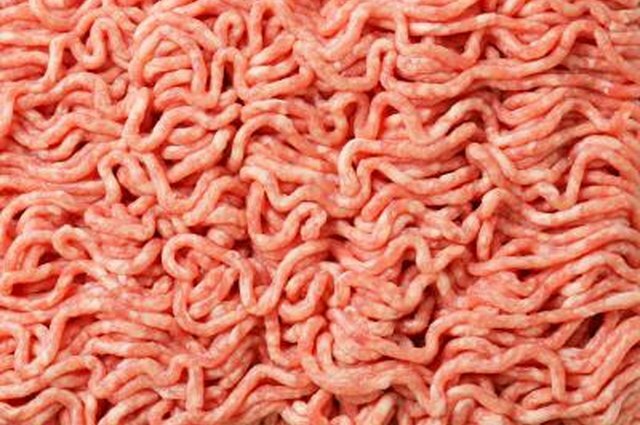 Ground meat has more surface exposure to bacteria, so store below 40 F and use within two days or freeze, according to Chow.